Biking in Arizona... Enjoy the Ride! Biking in Arizona is very popular primarily because of not only the weather, but because of the many trails available to the public. So whether you are looking for some good trails or want to commute to work, bicycling is certainly a great way to get some exercise as well as cut down on pollution. Arizona bike trails are not hard to find here in the state…. In fact, there are many trails you can easily access. If you are here specifically looking for trails, we have direct links for you to view and print out. 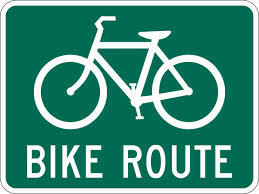 Simply scroll down on this page where you can gain immediate access to the various az biking trails. No matter what your reason is for wanting to bike in Arizona is not important. The fact is, it is a great way to get out and get some exercise, have some sightseeing fun on a two wheeler, or if you just want to commute to work. We truly hope to provide you with the Arizona cycling maps you are looking for. We also hope that we provide you with the biking in Arizona links and resources such as biking accessories, to help you get the most out of your next ride. Forget about your expertise.... just get out and enjoy this great past time of yesterday because it is even more popular today. Biking in Arizona is Not Only for You! Bicycling in Arizona is a great way to also explore all the beauty that this state is known for. We hope you find this information helpful so you get the most out of your riding experience. Check out all of these links for reference and be sure to bookmark this page so you know where to find us. If you have information that you would like to share with others, please contact us so we can add it to our site.